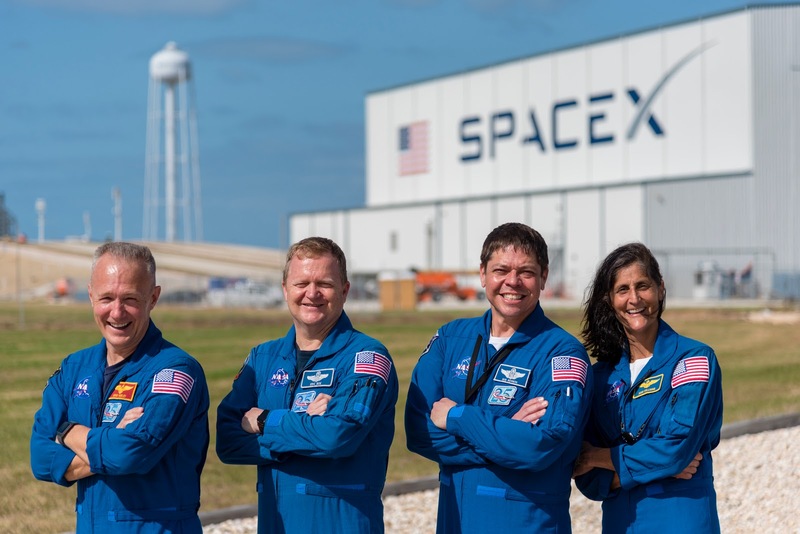 Commercial Crew Program astronauts, from the left Doug Hurley, Eric Boe, Bob Behnken and Suni Williams, pose just outside Launch Complex 39A at NASA's Kennedy Space Center in Florida. The astronauts toured the pad for an up-close look at modifications that are in work for the SpaceX Crew Dragon flight tests. The tower modifications included removal of the space shuttle era rotating service structure. Future integration of the crew access arm will allow for safe crew entry for launch and exit from the spacecraft in the unlikely event a pad abort is required.